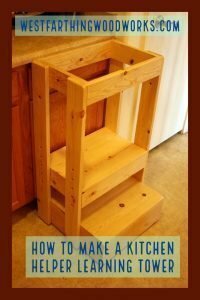 Are you looking for easy DIY woodworking projects? 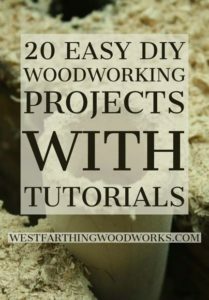 Well, you are in luck because here are 20 great projects with complete tutorials that you can start making right now. They are fun, easy, and each one is laid out for you step by step. 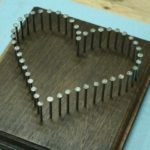 This is a collection of my best and most visited woodworking projects. 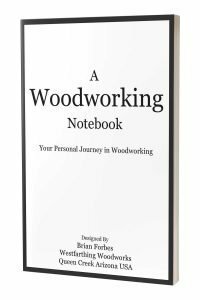 Each one is presented in an easy to follow, step by step manner, and they are designed to expand your woodworking abilities into many different areas. As a beginner, it’s important to do many different kinds of projects, and expand your knowledge of the craft. 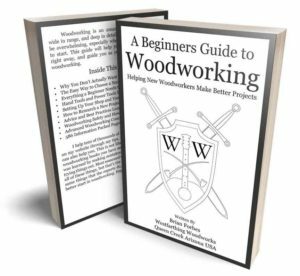 The way you do that is by looking for woodworking projects and tutorials just like these, and following them. 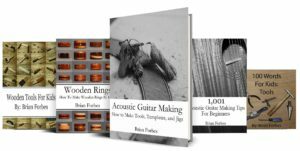 These projects will have you using different tools, mastering new techniques, and learning things you can apply in many other areas of your shop. They are presented is no particular order, and they have all been featured on this site before. Enjoy these 20 DIY woodworking projects, and happy building. The Kitchen Helper Learning Tower is a project that came from a need. My need was to have a way that my son could get up to the counter and the workbench with me. He’s a little over three right now, and this learning tower is the perfect solution. After researching several models online, I decided to make one that was easy to adjust, and could stay with the kids for several years. Their height changes pretty quickly as kids, so the easy adjustment is a huge win. Also, this kitchen helper kids tower is made from Pine, which is great for a few reasons. First, Pine is easy to find. You can get it in any hardware store, and even in some smaller stores that carry everything. It’s also soft, which means a lighter tower, and an easier time building. Finally, the best part about Pine is that it’s inexpensive. Not only does that mean a Pine learning tower does what you need it to, it it’s also really inexpensive. This is great for you, because you can put one of these together for less than the cost of a two person lunch. Lacing toys are coming back into fashion, and that’s a good thing. This Handmade Lacing Toy Tutorial will show you just ho to make one. Long ago, these heirloom toys were common in every household with young kids. Now, they are back and newer looking than ever. 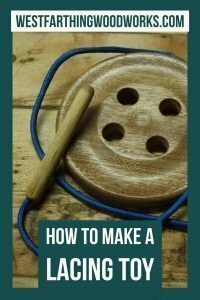 In this lacing toy tutorial, the main body of the toy is shaped like a wooden button, and the string is made from 550 para cord. The needle is a wooden dowel, and the young kids can play as they pass the needle through the holes in the button. My son loves this toy, and it was a top performing Christmas gift one year. I was up against some pretty nice store bought toys, and I still came out with one of his favorites. That is definitely a proud moment for a dad. If you intend on making and selling your crafts, then having a good way to take great looking pictures is very important. This DIY Photo Backdrop Tutorial is the perfect answer, and you can have an awesome looking backdrop in a few hours. The tutorial covers the essential steps, and in the end you will have a nice looking rustic photo background. You can also vary the colors, the size, and the spacing of the boards if you want to make the backdrop your own. If you like a lighter stain, you can do that. Darker? you can do that as well. The structure of this tutorial is perfect for you to fit it to your exact needs before you make your own. After that, all you need to do is set it up, place your items, and take your pictures. Not only will your photos come out looking more professional, it can actually help you sell more of your crafts because you look like you are reliable and professional. The project can be made from Pine as well, so that means a super inexpensive bill in the end. After seeing how much brand name wooden charm bracelet beads were going for online, I went out in the shop and created the Wooden Charm Bead Tutorial. 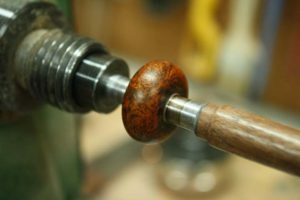 This step by step project is easy for anyone with a lathe, and you can create stunning looks. Wooden beads are really nice looking, and they are a welcome addition to any high end charm bracelet. Why pay a hundred dollars or more for a small piece of wood? You know exactly how much that sliver of Ebony or Briar costs, and you can make it yourself easily. I found my ferrules in a craft store, and you can make these beads on the same mandrel that you make turned pens. If you have some pen making experience, you might already have everything you need to start making beads. Enjoy this tutorial, and if you want, you might even be able to turn this into a small business. You will kill the prices of the brand names, and you can deliver a better product. 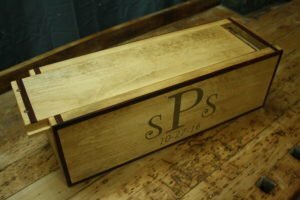 This DIY woodworking project is called the Wine Ceremony Box Tutorial, and covers a wine ceremony box that I made for a couple of my friends. The project was a real pleasure, and the finished box looks amazing. A wine ceremony is when a couple getting married seal a wooden box with a bottle of wine, and a couple letters to each other that are meant to be opened several years in the future. Some do ten years, some five, and some even more. The idea is to reach that anniversary, break out the wine, and read each other’s letters. The memory that you can create with something like this is awesome. The project itself is a lot of fun too. This is a four part series, and each part covers a part of the process. You start by making the box, and then you add the trim inlays. After that the monogram inlay, and then the final finish. On the monogram inlay, I also share a secret to making a really easy inlay. 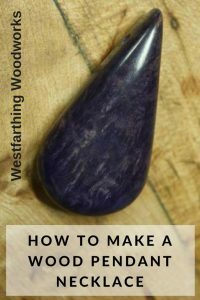 If you are looking to make something nice for someone you love, my Wood Pendant Necklace Tutorial is a great woodworking project for any beginner. The jewelry piece is beautiful, and you can use the same techniques to make lots of other pieces as well. This is a big opportunity to showcase a great looking wood species. The pendant itself has a simple shape, but you control the look based on the wood type. If you choose an awesome looking piece of wood, you can make it look really nice. The instructions for this diy project are simple to read, and easy to follow too. You can start with any kind of wood you like, and then go into nicer pieces if you need some practice. You can use the same techniques to make earring to match as well if you like. These wands were tasked to me as a commission piece, and it was an absolutely pleasure to make them. They are both carved, which means you do not need a lathe to make them. The lathe does make some parts easier, but again it is not necessary. It’s all covered in the Carved Wizard Wands Tutorial. The nice thing about this tutorial is that you can change the look. If you want a longer wand, a different pattern, or anything else, just add it. The instructions will still work, and you will end up with the wand that chooses you rather than the wand you choose. This is a great alternative to all the lathe based tutorials that are available online. Not everyone has a lathe, and this process puts the project in reach for anyone with a few tools. It’s easier in some cases with power tools, but again not necessary. 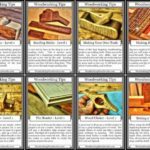 You can also vary the color of the wands by using a different wood species. If you want to make them inexpensively, you can use Pine and add stain for color. 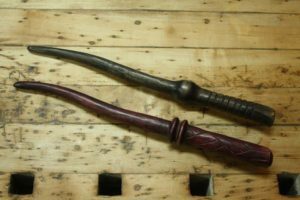 Either way, you will love this carved wand making project. Some of the first beads that I ever made were from acrylic. This is a special kind of plastic that wood turners and pen makers use on their lathe. You can find it anywhere that lathe materials are sold, and it’s not expensive. The Acrylic Charm Beads Tutorial will show you everything. These beads are really expensive when you buy them in the stores, especially from the name brand makers. Instead of buying them, just make them yourself. When you do that, you get to control the look, and you also get to control the cost. These beads can be teamed up with the wooden beads from earlier in the post, and you will have a lot of design choices. The project does work far better on the lathe, so that’s where the instruction is focused. However, if you did want to make these off the lathe, you could do that as well. It will take longer, because the shaping will not be as fast, but it can turn out really nice. 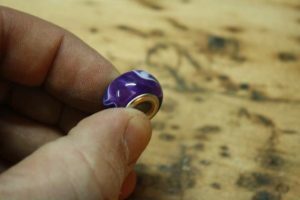 Take your time, and don’t stop working on your bead until you love the way it looks. Pallet signs are really popular, and they can be expensive. Thankfully for any new woodworker, they are very easy to make. My Easy Pallet Wood Sign Tutorial will show you the exact process to make your own, as well as how to vary the design so you can make signs in any shape and size that you choose. They are also inexpensive, because you can use low cost materials as well as reclaimed materials. In fact, if you make your wooden pallet signs from actual harvested pallets, you can end up with a completely free project. These signs are super fun to make, and you can create a bunch of them in a short amount of time. After that, you add your letting in any way you choose, and then the sign is ready to hang on the wall. These make great gifts, and they are easy to sell. Wooden pallet signs are all over the place now, and they are inexpensive to make. If you are thinking about making wooden projects to sell, then adding wooden signs is a good start. This is another tutorial for a DIY Wooden Sign, and it’s a little different than my others. This is a Christmas theme sign, in a bold color, and with nicely crafted lettering. If you make this sign exactly as you see it, you will have a great place to hang your stockings. This tutorial is great because you get to cut out the board, and then use the router. The key to making a wooden wall sign pop is to route a decorative border on the edges. With one or two router bits, you can have a nice edge style that makes your signs look professional. Also, you will get a quick look at the machine that we use to create the lettering. It’s a tool that has been very helpful to have, and it makes cutting out letters and applying them to the wooden backgrounds extremely easy. Add this tool to your arsenal when you have a chance. Especially if you make a lot of sighs, or that’s what you want to make. It will pay for itself very quickly as you make and sell signs too, which is a great way to buy new tools. 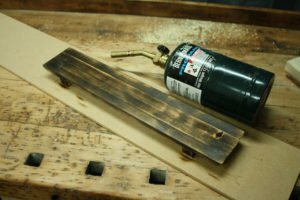 The Pallet Wall Shelf Tutorial is a great base for making your own pallet style wall shelf. You can make the project exactly as you see it, but you can also make it your own. The design is well balanced, and you can make the whole thing from scraps. 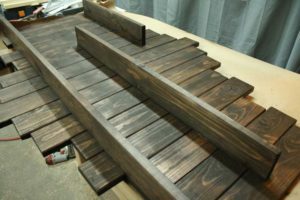 This project is big, and it forces you to learn how to line up several pieces of wood and make then square them. This is not an easy task as a beginner, and it takes some time. After that, you will also learn a way to attach it to the wall that you will want to use for everything. For a wall hanging item, this is a pretty heavy shelf. The attachment method solves all off those problems though, and is extremely strong. The entire process for making the wall attachment is covered in detail, and you will end up using it on a lot of your woodworking projects. This is by far my most popular tutorial. 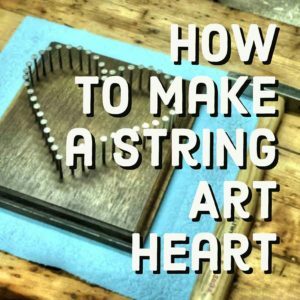 How to make String Art is a simple tutorial, but it gives you everything you need to know to make any kind of string art. You can literally take the secrets inside this one post, and make any string art piece you want afterwards. The really big secret that I reveal is how to get all the nails lined up really well. It’s not about hammering them in carefully, or taking a long time to do it right. There is a simple trick that makes you have perfectly straight and even nails every time. The trick alone is worth the time it takes to read the post. Once you know how the professionals do it, you will be able to replicate the results and make your own. At that point, you can make some excellent gifts, or you can even start selling them. 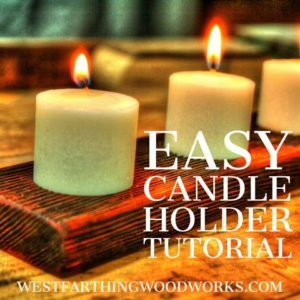 In this DIY Candle Holder Tutorial, you will learn how to make a great looking candle holder, and another skill that is really cool too. Contrast staining. 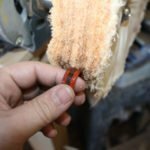 This is a killer woodworking technique, and it will become a favorite of yours right away. Contrast staining is essentially a process of staining a piece of wood two different colors and using them to create depth. There are a couple ways to create the depth, and that is covered inside the post. With this method, you actually create a three dimensional depth, and then color it all to give it more of a deep look. 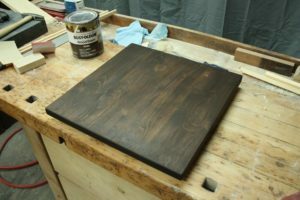 You can choose your colors, and your stains, and the look is super easy to make on nearly any kind of wood. All you need to make this happen is one tool. It’s inexpensive, and you can get it in any hardware store. It also lasts a very long time, which means you can make a lot off these kinds of projects before you have to replace it. At a party, a photo booth is a lot of fun. This can be really simple, or elaborate, and it gets everyone excited about taking pictures. We should all take more pictures, especially in events that may be hard to remember in the morning. This DIY Photo Booth Frame Tutorial is the perfect addition to any photo booth. 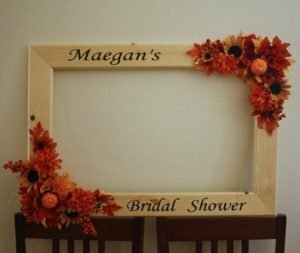 It’s a plain frame that you can customize for any event you are having. You can change the color with paint, add lettering for the event, and more. The constructions process is extra strong, while will help in the event of a dropped photo frame accident. It will also show you how to use a Kreg Jig. 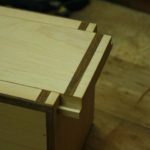 If you do not have one, you can use different joinery, but for how inexpensive they are, you should take a look at getting one. Once you have this frame, you will have plenty of opportunities to use it. Simply customize it to match your theme, and then start taking pictures. Wooden signs are really popular, and this DIY Established Sign Tutorial will help you make an elegant looking family sign. You can use the tutorial to make any kind of sign you like using the same techniques too. It’s really versatile. There are a lot of ways to make an established sign, and this is a very easy method. 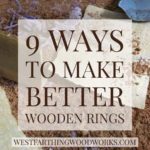 You can start with wood that is already about the right size from the hardware store too. This way, if you have few tools, you can make single cuts with a hand saw and not need a table saw. You can also skip the decorative boarder, and go with straight edges. If you do, you can focus on the staining aspect and make your sign pop. The instructions are really easy to follow, and you can start making signs right away. This is a fun project that you can make quickly, and the Scrap Wood Candle Holder is an easy project too. The look can be varied based on your design needs, and the real gem is the finishing portion of the tutorial. 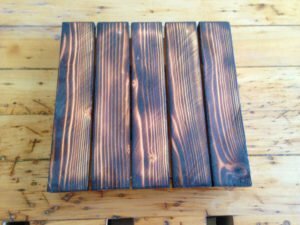 This diy woodworking project is super fun, because you get to use a wood burning technique in your finishing. This is a Japanese technique where you toast the wood with a flame, clean it, and then apply an oil. The finish technique creates a great looking surface, and with a depth that is second to none. It has a rustic look, and can go with any decor. You can also vary the amount of time in the flame to produce your own looks. They can range from a fault and light toasting to a deep black charring. Either way you go, you will surely be using this technique on other pieces int he future. This is one of my most popular tutorials. 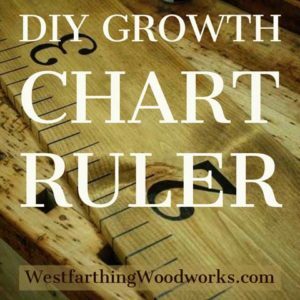 My DIY Growth Chart Ruler Project is a super easy way to make a life sized school ruler that is perfect for marking your children’s height. It’s also a no saw project, meaning that you don’t even need any major tools to do it. I have a couple children, and I love the idea that I can take their measurements with me. If you use a door frame, you have to either remove it and replace it when you move, or you have to just paint over it and leave. Neither option is good, and the growth chart ruler solves that. This also makes a great gift for anyone with kids. It’s very rugged too, so it can go in a kids room without having to worry that they will tear it apart. Once you make one of these, you will be hooked. They are also asked for as gifts really frequently, making them even more fun. The perfect accessory for any book worm is the Thumb Book Holder. This is a small project, but it makes a big difference to a reader. It’s easy to make, and you can even use scraps from your bigger projects. The real secret to making this project work is the wood you use. Since this is a small project, and the wood is the star, you need to pick out a good piece. You can also pick something a little more expensive, because it’s so small. 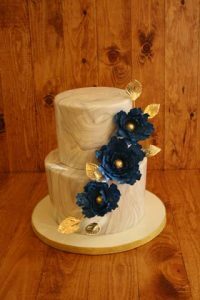 Make your wood the center piece, and show off something really good looking. 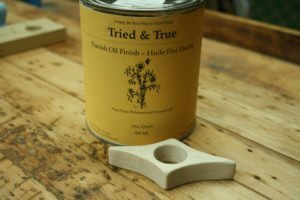 Apply a nice looking oil finish, and the piece will be easy on the hands too. Also, you can stain a lighter species of wood if needed, and create an even better look on plain wood. Start by making one for yourself if you are a reader. You will love it, and you will quickly find reasons to make more of them for friends. Super easy to make, and a treat to use. These little pallet looking frames are the subject of the Rustic Picture Frame Tutorial. They are made from scraps, and are meant to be bases for your photos. Use new wood, or use reclaimed wood. You can hang them from the wall, or stand them against other pictures. If you don’t have similar scraps, you can saw all of these from 2X4s, making the one board give up dozens of small pieces. You then build your pallet looking frames, and glue them. It’s easy, and it’s also really good for another reason. The single 2X4 that you use will give up a ton of smaller pieces like this. One stick will only cost you a couple dollars, so if you are planning on selling these, you have a lot of margin. You can sell each one for the same or more than the price of the board, and do well in the end. Think about the finish as you work. Some can be made lighter or darker. If you have a finish style you like, make several and hang them on the walls. You will love the look. 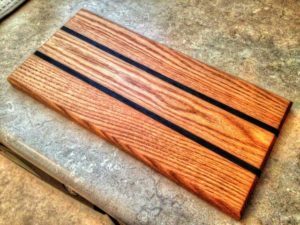 Finally, the Scrap Wood Cutting Board is all about putting your scraps to good use. All you need to do to make cutting boards at the basic level is glue a bunch of longer pieces together, and cut the ends even. Next, sand the board until it is nice and smooth. After that, you can route a pattern on the edges, round them, or bevel them. However you want to design the piece, you are in complete control, and it will look nice. After that, add a natural oil that is food safe, like butcher block oil, and you are done. These make excellent gifts, and you can make them really quickly. Alternate some colors, and make a statement in your lamination. You will love the look. There you have it. 20 DIY woodworking projects that you can start making right now. 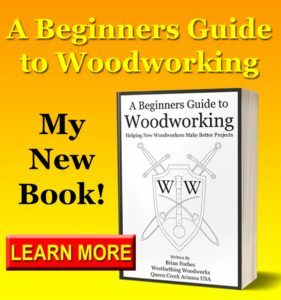 They are all a lot of fun, and they cover a lot of different woodworking topics. Read through them, and pick out a couple that you want to make. Then, head out into the shop and make them. Reading about projects is great, but doing them is even better. When you just read, you pick up knowledge, but until you apply that knowledge, you do not advance your skills. 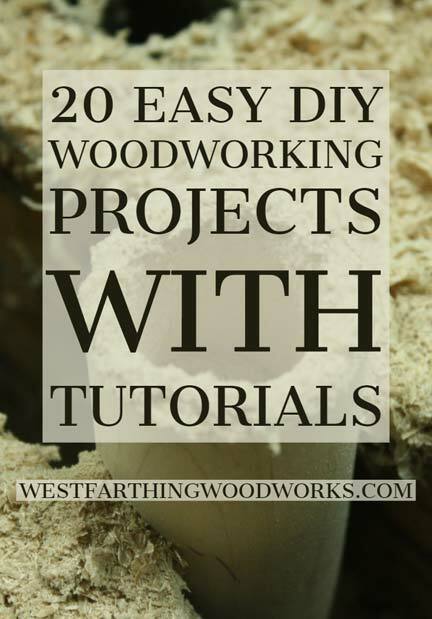 Don’t look at a giant post like this filled with 20 woodworking projects and take no action. Pick a project, and get into that shop. There has to be something you like, and something you have the tools to make. Pick that out as a starting point, and enjoy making sawdust. The peacefulness and calm of the shop is part of the joy of woodworking. Get out there and enjoy it.